CRUISING TO FRASER ISLAND MADE MORE ACCESSIBLE, AS P&O CRUISES AUSTRALIA BECOME THE REGIONAL DESTINATION EXPERTS. Cruising To Fraser Isand Made More Accessible, As P&O Cruises Become The Regional Destination Experts. In a meticulously planned operation that has been several years in the making, P&O Cruises' Pacific Aria became the largest ship to navigate the Great Sandy Strait, with her call to Fraser Island opening up the World Heritage-listed destination to cruise tourism. At high tide yesterday morning, the 55,820-tonne Pacific Aria entered the tidal strait to the west of Fraser Island, slowly cruising through the Great Sandy Strait – a succession of sheltered bays and sand flats – before anchoring off the island’s Kingfisher Bay Resort about 7am. P&O Cruises President Sture Myrmell said the cruise line had wanted to visit Fraser Island for some time, but had only been able to introduce cruises to the world’s largest sand island following the addition of two mid-sized ships – Pacific Aria and Pacific Eden – to its fleet late last year. “Pacific Aria’s historic visit has been a feat of modern navigation. 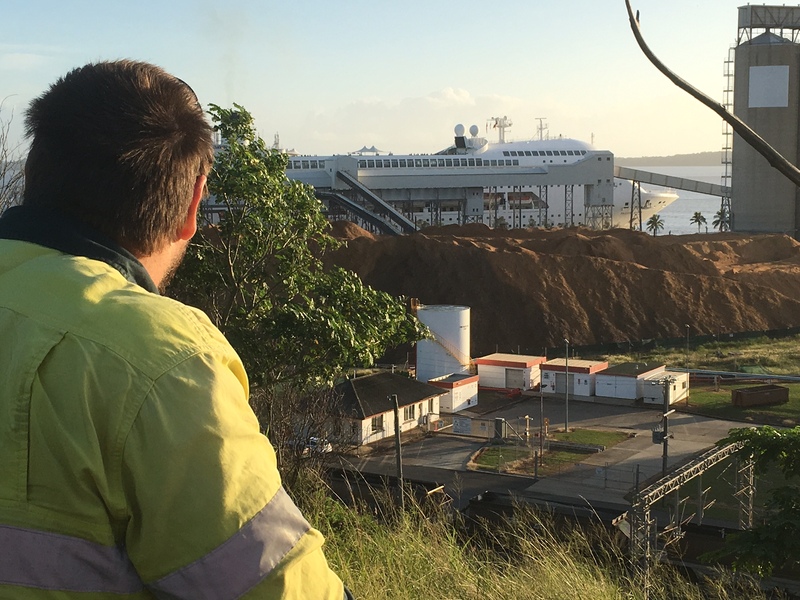 Our team worked closely with local authorities including Maritime Safety Queensland, the Gladstone Regional Harbour Master and the Australian Hydrographic Service to update shipping charts in the strait and carefully plan cruise calls around high tides,” Mr Myrmell said. P&O also recruited former harbour master Captain Mike Lutze, the only experienced Fraser Island pilot, for the maiden call and will continue working with him to train Australian Reef Pilots to ensure the viability of future cruise visits to the island. The maiden Fraser Island call was part of a four-night roundtrip cruise which departed Brisbane on April 1. 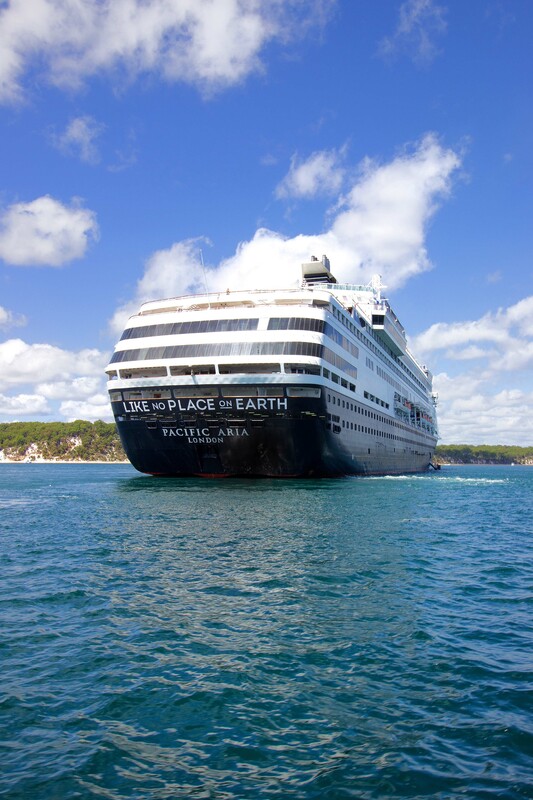 Pacific Eden will make the next Fraser Island call on December 12 as part of a four-night roundtrip cruise from Sydney departing on December 10, 2016, and priced from $499* per person quad share. A further five Fraser Island calls are scheduled for 2017. Mr Myrmell said Fraser Island was one of 15 regional destinations added to P&O itineraries in recent years as a result of the cruise line’s fleet expansion and the increase in short break cruises. “As P&O expands, we’re thrilled to be leading the way in introducing more of Australia to cruising, especially Fraser Island, which boasts some of the world's most magnificent scenery, wildlife and visitor experiences. It’s a very exciting time for cruise tourism in Australia with passenger numbers continuing to surge and it’s great to be able to share the economic benefits of this growth with communities around the nation,” Mr Myrmell said. The cruise line partnered with the island’s Kingfisher Bay Resort to offer its guests the ultimate Fraser Island experience. As well as enjoying the resort’s facilities, guests participated in a range of activities including bush tucker tasting, a visit to the Central Station rainforest and crystal clear Lake McKenzie, mangrove walking tours and beach Segway rides. Queensland is home to more cruise destinations than any other state in Australia, with P&O ships sailing to 10 ports within the State. In recent years P&O has opened up new Queensland ports including Mooloolaba and Moreton Island, followed by Gladstone last month and now Fraser Island. According to industry figures, Queensland is the second biggest source market for Australian cruisers with nearly 240,000 Queenslanders cruising in 2014, an increase of 21 per cent on the previous year. IT'S FULL STEAM AHEAD FOR P&O CRUISES AUSTRALIA'S NEW BUILD. The largest ship to join P&O Cruises’ fleet, the new build will carry more than 4200 guests, offering double the capacity of the biggest cruise vessel currently homeporting year round in this market. “This is a very proud moment for P&O and a significant step forward in our continued growth in this market,” Mr Myrmell said. The finalisation of the contract follows the announcement late last year of a memorandum of agreement between P&O’s parent company, Carnival Corporation & plc and Fincantieri for five new ships including P&O Cruises’ new build. As the world’s largest travel and leisure company, Carnival Corporation has an existing fleet of 100 cruise ships and a total of 16 new ships scheduled for delivery between 2016 and 2020. The creation of Australia’s first new build forms part of the ongoing expansion of P&O Cruises Australia, which saw the addition of two ships – Pacific Eden and Pacific Aria – last year, taking the present fleet to five ships. “With an average annual 20 per cent growth in passenger numbers over the past decade, Australia is one of the fastest growing cruise markets in the world. Our expansion will not only help meet surging demand, it will also drive future growth by enticing more Australians to holiday at sea,” Mr Myrmell said. 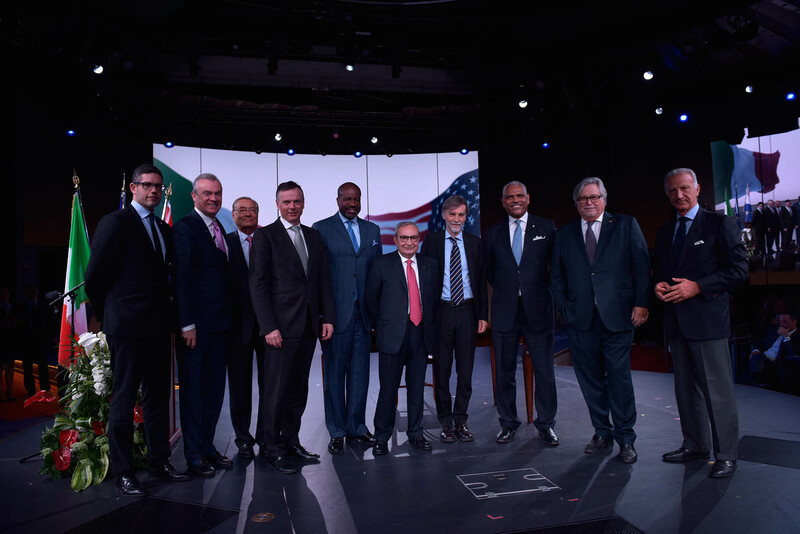 The contract was signed on Saturday at a ceremony at Fincantieri’s shipyard in Marghera attended by Italian Minister of Infrastructure and Transport Graziano Delrio, Carnival Corporation Chairman Micky Arison, Carnival Corporation CEO Arnold Donald, Fincantieri CEO Giuseppe Bono and Stein Kruse, CEO of Holland America Group, which includes P&O Cruises Australia. OVATION OF THE SEAS TO MAKE A STUNNING DEBUT ON 60 MINUTES TOMORROW NIGHT ! Ovation Of The Seas Set To Make A Stunning Debut On 60 Minutes ! Do Not Forget ON 60 Minutes TOMORROW NIGHT ! First announced by Cruise The Seas Travel And Media last week on March the 23rd 2016. 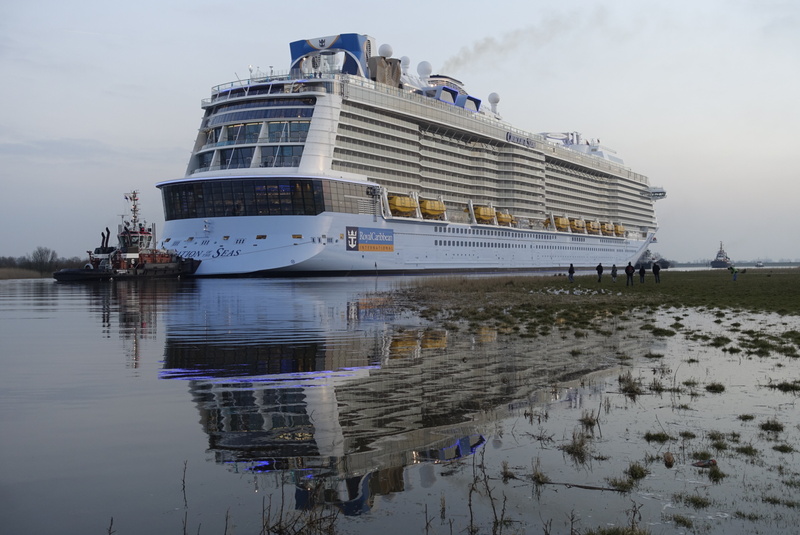 The report by 60 Minutes on Ovation Of The Seas was meant to air on March 27th but due to the Brussels bombing it was delayed until tomorrow night. The BIGGEST the NEWEST and the most Technological cruise ship ever ! That's right the First New build to be home ported in Australia, Ovation Of The Seas will be on show TOMORROW NIGHT with all her NEW gadgets ! Here is just a sneak peak of what YOU can expect ! ROYAL CARIBBEAN SET TO GRANT ALL YOUR DREAMS AT SEA, WITH THE ROYAL GENIE ! Royal Caribbean Set To Grant ALL Your Dreams At Sea, With The Royal Genie. Introducing the Royal Genie, every traveller’s dream come true! When Royal Caribbean International debuts the Royal Suite Class this May, guests in the Star Class – Loft Suites or higher categories – will have the opportunity to have their own personal Royal Genie to cater to their every whim. Skip the line with the Royal Genie as your fast pass, ensuring priority boarding and departure, as well as escorting you to shore excursions and other activities. The Royal Genie will serve as the ultimate insider helping craft one-of-a kind experiences based on a guest’s personal style and preferences. From planning the perfect date night or a unique family celebration, to creating a memorable adventure of a lifetime in one of the ship’s destinations, the Royal Genie will curate personalised experiences catered to each guest. After a day in port enjoying customised shore excursions, guests can return to their suite to savour handcrafted cocktails made in-suite. The Royal Genies also will assist with making restaurant and show reservations, in-room dining requests, and any other needs – from laundry, pressing and shoe-shining, to luggage handling and unpacking. Your vacation is going to be packed with adventures you’ll want to remember. Your Royal Genie can score you a personal photographer to capture the memories. The Royal Genie will embody contemporary fashion and lifestyle with her/his own distinct look and feel. From day time casual looks that feature pants and linen shirts for balmy Caribbean days, to a more formal evening look with bold pops of purple and cranberry, the Royal Genie will impress in more ways than one. Your Royal Genie grants you exclusive access to one-of-a-kind experiences, like private Shore Excursions, VIP seating – and sessions at signature activities like FlowRider®, before they open to anyone else. An exclusive experience for guests seeking a luxury adventure, the Royal Suite Class features well-appointed accommodations including amenities such as complimentary VOOM – the fastest internet at sea; complimentary specialty dining in all of the cruise lines signature venues; an ultimate beverage package; inclusive gratuities; preferred seating at select onboard venues and upgraded room amenities. Whether it’s sweet treats, fresh fruit or an unbelievable vintage, your Royal Genie knows what you crave and keeps your suite stocked with all your favorites. 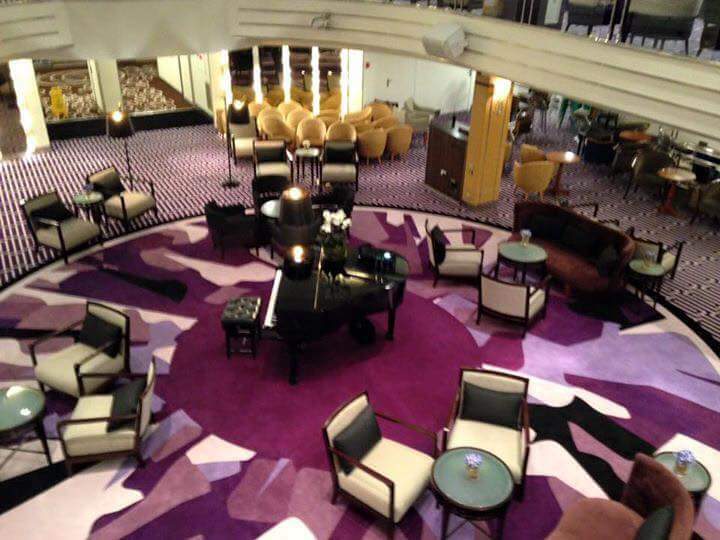 The Royal Suite Class will be available for sailings beginning May 2016 aboard Royal Caribbean’s Allure of the Seas, Oasis of the Seas, Anthem of the Seas as well as Harmony of the Seas and Ovation of the Seas (Sydneydepartures only) when they debut in spring 2016. If you’re celebrating a birthday, marking a special occasion, or simply appreciating the ultimate family vacation, your Royal Genie can coordinate surprise parties, in-suite cocktail hours, and more. For details on the Royal Suite Class and amenities available for each class visit www.RoyalCaribbean.com/RoyalSuiteClass. GET READY AUSTRALIA, QUEEN MARY 2 TO OFFER MORE LOCAL ITENARIES IN HER STUNNING 2018 WORLD VOYAGES PROGRAM. 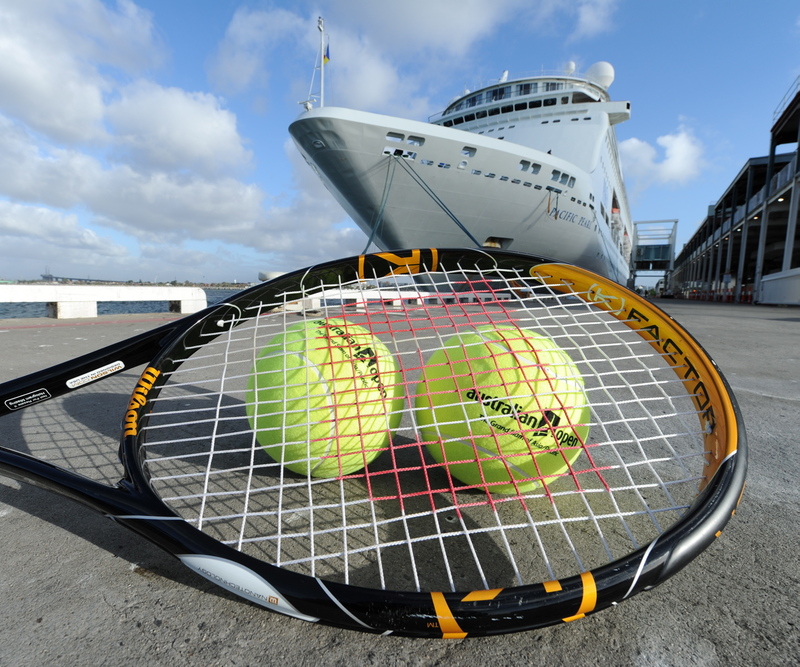 Photo Credit : Brian Gaskin Of Cruise The Seas Travel And Media. ROYAL CARIBBEAN SET FOR SHOW STOPPING ENTERTAINMENT ON AUSTRALIA'S VERY OWN OVATION OF THE SEAS. Royal Caribbean Set For Show Stopping Entertainment On Australia's Own Ovation Of The Seas. 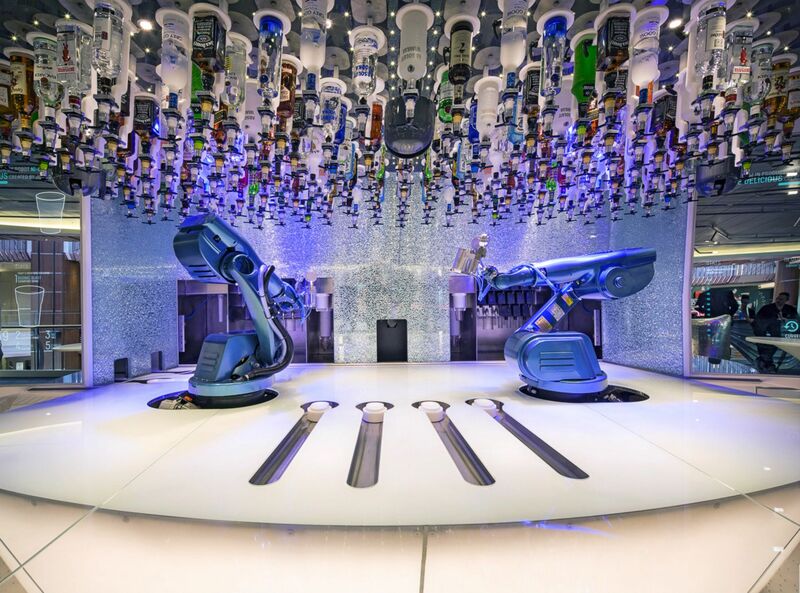 Royal Caribbean International has today revealed the show-stopping entertainment line-up onboard Australia’s newest, biggest and most technologically advanced cruise ship Ovation of the Seas. A product of the largest entertainment production operation at sea, Ovation’s entertainment will continue the innovative brand’s standard of combining talent, technology and special effects with a spectacular selection of stage shows, productions and events that will exhilarate guests’ senses and leave them spellbound. 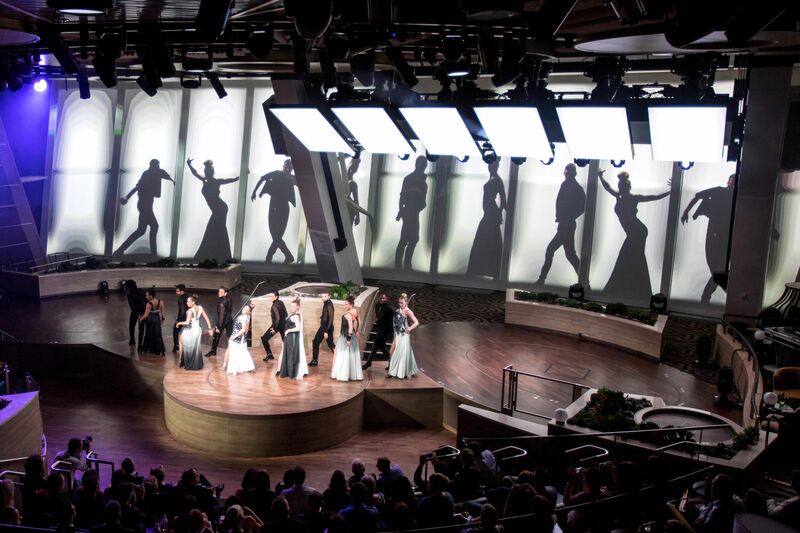 Onboard Ovation of the Seas, unique technologically advanced venues and exceptionally talented performers will come together to deliver unparalleled entertainment experiences each day of a guest’s adventure. The leading cruise line will deliver an endless landscape of one-of-a-kind entertainment in Two70, a multi-level great room that seamlessly fuses entertainment and technology. The venue affords audiences vast possibilities, with immersive experiences taking place all around the room. With the integration of Vistarama – expansive floor-to-ceiling windows that can be set into any scene, real or imagined, by combining 18 projectors to create an ambient surface over 30 metres wide and over 6 metres tall. 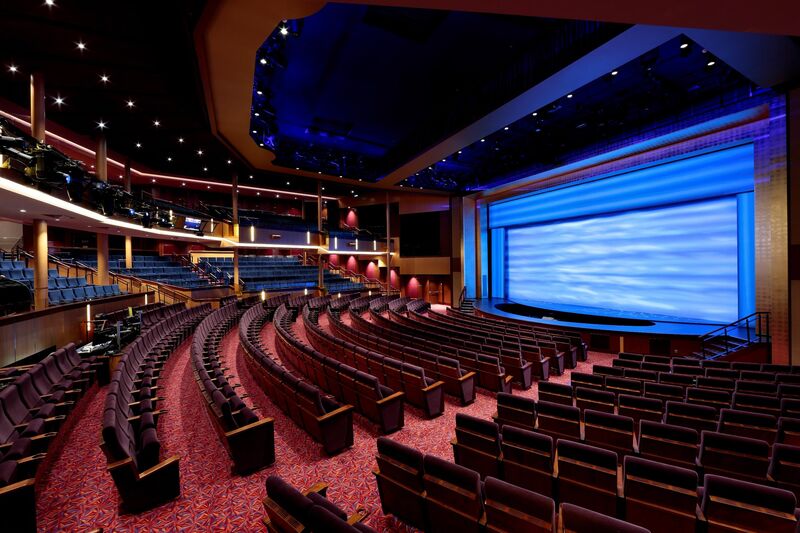 In addition, a troupe of six, agile Roboscreens combined with highly trained live performers, music and special effects, gives guests front-row seats to stunningly visual shows that can only be seen while sailing onboard Royal Caribbean’s Quantum-class ships, including the spectacular Spectra’s Cabaret. Spectra’s Cabaret is a completely original production, created by Royal Caribbean International and Moment Factory exclusively for Two70. This wildly popular show, already a fan-favourite on Anthem of the Seas, features the Maestro and his Agents of Rhythm as they invite the audience to an electric, multi-dimensional cabaret that transports them to invisible realms. Each night, the portal opens for a limited period of time and immerses guests’ imaginations into a multimedia show brimming with kaleidoscopic sounds, effervescent colours and dazzling movement. “Spectra’s Cabaret” blends live performance and experiential cinema with music from contemporary pop culture. It creates a world seen through the lens of music and technology, all while exploring the deepest recesses of the heart. of this man’s life, and Royal Caribbean audiences are invited to join him on a wild and audacious journey of discovery. * Live. Love. Legs. – The same highly-acclaimed creative team behind the wildly popular “Sequins & Feathers” on Quantum of the Seas has brought its signature combination of talented artists, high-energy performances and remarkable beauty, to deliver another unforgettable theatrical experience. “Live. Love. Legs” brings a collection of incredible aerial acrobatics, next-gen choreography and superb vocal performances that come straight from the Broadway stage. Infusing all the hallmarks of the Sequins & Feathers experience, featuring lavish costumes, jaw-dropping video effects, special musical arrangements, and a dedicated group of international artists, this all-new production onboard Ovation of the Seas will reward audiences with a full sensory overload. With Royal Caribbean, the entertainment doesn’t end on stage. Ovation offers guests a line-up of fully produced late-night events and parties. 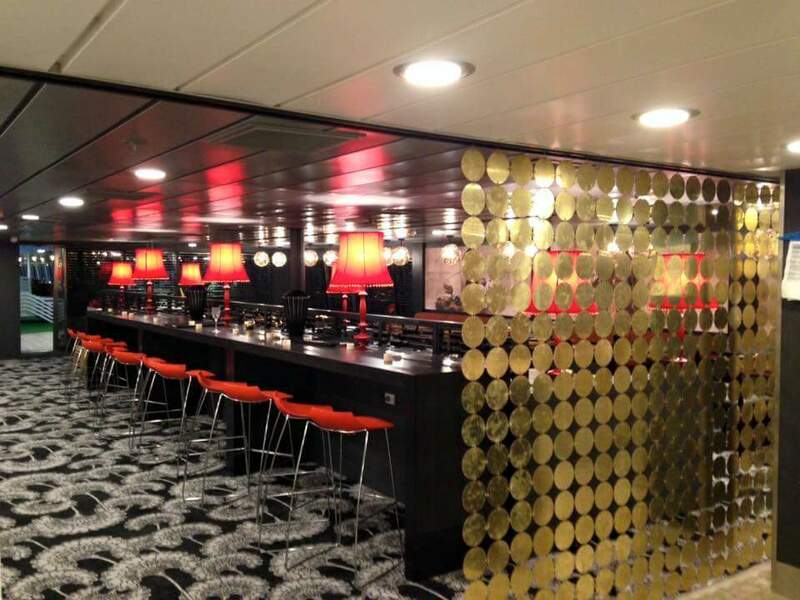 In the ever popular Music Hall, guests are treated to the most exciting live music venue at sea, where travellers can dance till the wee hours of the morning as well as enjoy theme parties such as Groovy Town. Two70 hosts late-night themed parties such as Twist & Shout and Fireworks Party along with the Roboshows that perfectly incorporate live performers and technology. Australia’s very first new-build ship will also deliver entertainment experiences for its youngest guests, with events and activities featuring DreamWorks Animation's popular film characters. From DreamWorks character breakfasts in the main dining room, impromptu ‘meet-and-greet’ experiences to photo-ops throughout the day and exclusive DreamWorks merchandise – families will have a plethora of options to keep kids of all ages engaged. Guests can also watch the latest DreamWorks Animation films in the ship’s movie theatre or on the dedicated DreamWorks TV channel in their stateroom. Ovation and her sister ships, Quantum of the Seas and Anthem of the Seas belong to the Quantum class of ships and are built with the most advanced technology. 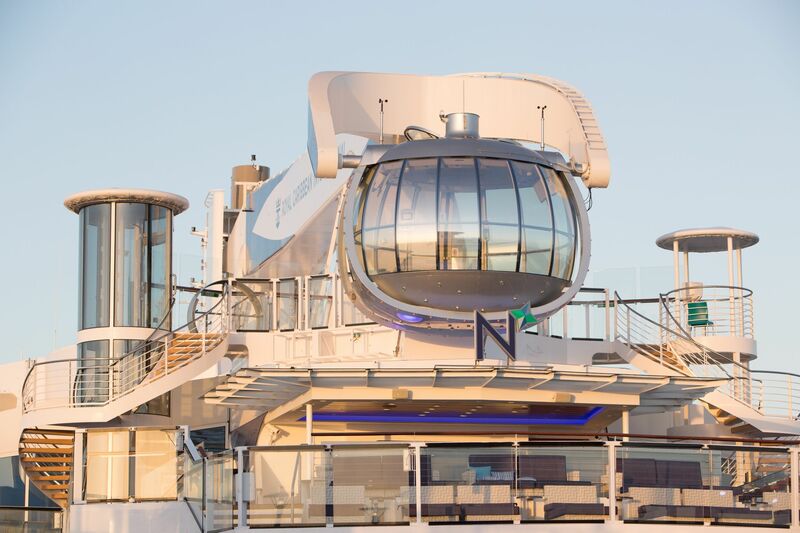 Ovation of the Seas will introduce unprecedented first-at-sea experiences and amenities to Australia when she arrives in December, including the North Star, an observation capsule that gently rises more than 92 metres in the air to treat guests to breathtaking panoramic views as high as the Harbour Bridge; thrilling skydiving and surfing experiences; Two70 a daily social space which transforms into a multifunctional entertainment place in the evening; and SeaPlex, the largest indoor activity space at sea, which includes basketball, roller-skating, bumper cars, a circus school and more. Dining has also been redefined onboard, with each ship offering Dynamic Dining - 18 distinct restaurants with a variety of cuisines to choose from - as well as the industry’s most relaxing and luxurious accommodations at sea with the unique Loft Suites and groundbreaking Virtual Balcony staterooms, interior accommodations that feature large digital screens displaying real-time views, ensuring that every room has a view. Ovation of the Seas will officially launch in April 2016, when she departs Southampton, England for Tianjin, China on a 52-day “Global Odyssey” voyage. On 30 November 2016, she will set sail on a 15-night Singapore to Sydney voyage via Fremantle, Adelaide and Hobart, repositioning to her new home down under for her maiden season. For further information or to make a booking, visit www.ovationoftheseas.com.au, phone 1800 754 500 or see your local travel agent. RCI PROMOTES GAVIN SMITH AND ADAM ARMSTRONG TO NEW POSITIONS WITHIN ROYAL CARIBBEAN INTERNATIONAL. RCI Promotes Gavin Smith And Adam Armstrong To New Positions Within Royal Caribbean. RCI has today announced the appointment of Gavin Smith to the role of Senior Vice President International, effective immediately. Smith’s new role sees him responsible for all sales, marketing and commercial operations for Royal Caribbean International, Celebrity Cruises and Azamara Club Cruises in Europe, the Middle East, Southeast Asia, Latin America, the Caribbean and Australasia, and he will report to Michael Bayley, President and CEO of Royal Caribbean International. Adam Armstrong has been appointed Managing Director, RCL Cruises Australia and New Zealand, reporting to Gavin Smith and responsible for the business operations of Royal Caribbean International, Celebrity Cruises and Azamara Club Cruises in the region. 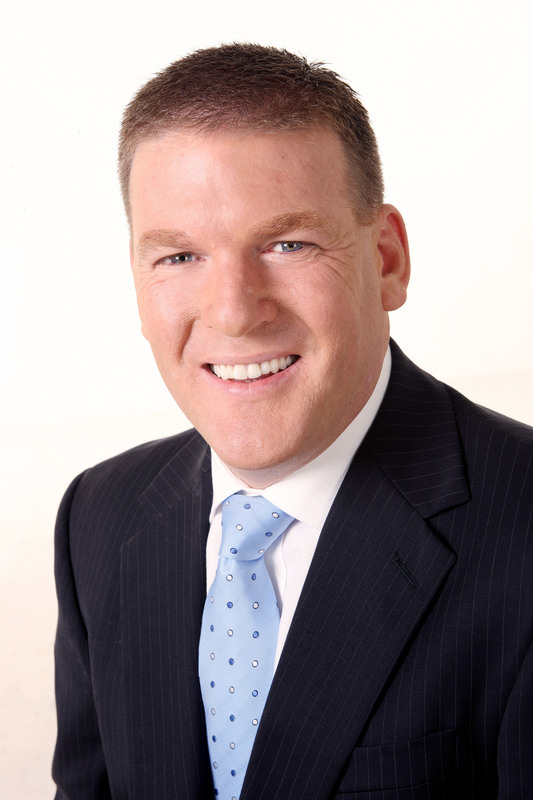 Gavin Smith opened RCL’s first Australian office in December 2008 as Managing Director, while Adam Armstrong joined soon afterwards as Commercial Manager. Together, they have overseen a period of significant and continuous growth for RCL’s cruise brands in the region. “From a single locally-based ship in the much-loved Rhapsody of the Seas some eight years ago, Australia is now the home port for eight of the region’s largest and most modern cruise ships. We will usher in a new era for cruising down under when the brand new Ovation of the Seas arrives in December 2016,” Smith said. “It is a real pleasure to be handing on the responsibility for Australia and New Zealand to Adam. With his wealth of experience in the Australian cruising market, I know he will do a tremendous job leading the team and continuing to drive growth across all three of our brands as we introduce newer and more modern cruise ships to the market,” he added. 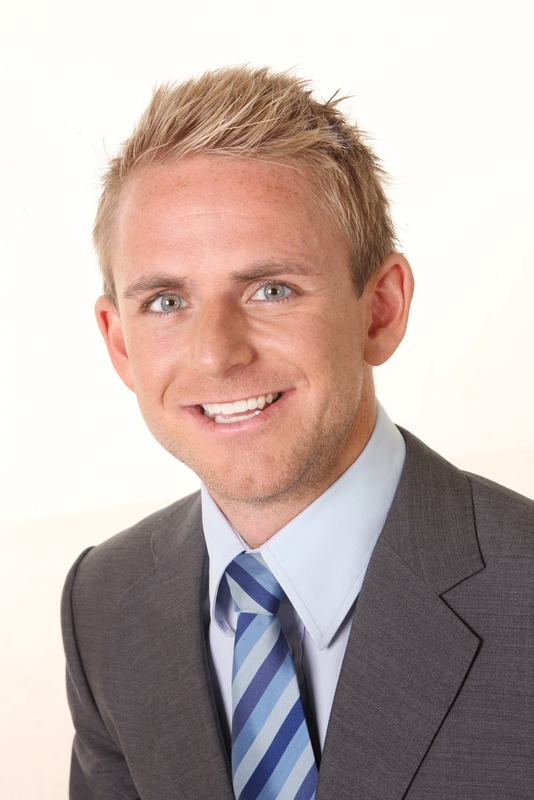 Adam Armstrong has over 15 years of experience in cruising, most recently as Regional Commercial Director, responsible for sales, marketing, revenue management, deployment and PR in the Asia-Pacific region. Prior to joining Royal Caribbean, he held various product and market planning roles at TUI Travel and Carnival, both in Australia and the UK. Dominic Paul, outgoing Senior Vice President, International has accepted a position as CEO of a UK based business. He departs the company 1 May 2016. An announcement regarding Armstrong’s vacated role of Regional Commercial Director will be made in due course. I just want to say that this is GREAT news for both the Australian and New Zealand Cruise Industries that this has happened. It just goes to show on how far we have come and the great work that both Gavin and Adam and their respective teams have put into making Royal Caribbean International, Celebrity Cruises and Azamara Club Cruises successful brands here in Australia and abroad. To both Gavin And Adam congratulations, you both deserve it. PRINCESS TO PLAY TRAVEL CUPID AT SEA. Princess Cruises has launched a new swipe-to-like experience called “Places to Sea” to help travellers find the right cruise. 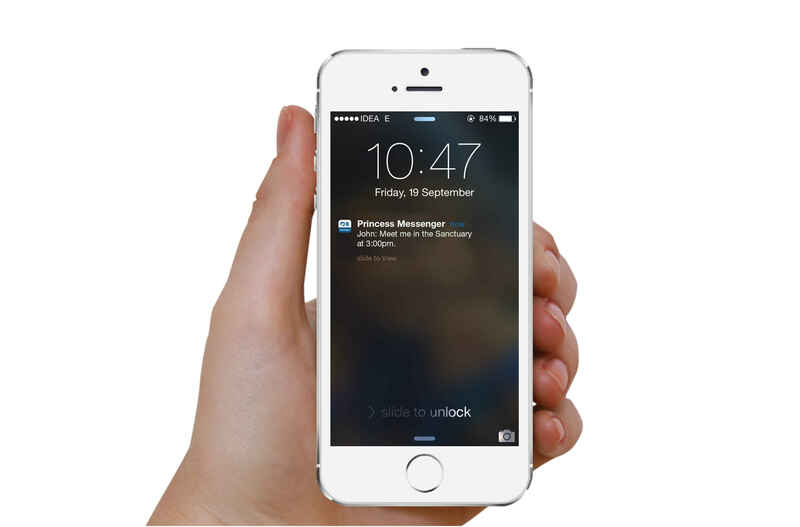 Designed for Android and iOS smartphones, the new mobile tool is a first for the cruise industry. Places to Sea takes users on a visual journey through exotic destinations, adventurous activities and culinary experiences to match them with a travel personality and offer cruise destination recommendations. Users simply swipe (right to like or left to pass) through a series of stunning travel-related images that include everything from culinary delights to bucket-list destinations and adventurous excursions, before being assigned one of five different travel personalities based on their preferences. So whether the user is an “adventurer,” “culturist,” “naturalist,” or a “foodie,” Princess Cruises will match a cruise destination and various cruise itineraries. Princess Cruises Vice President Australia & New Zealand Stuart Allison said it was easy for many travellers researching cruises to get overwhelmed with so many options and choices. “Our new Places to Sea experience guides the process and matches the ideal trip with a person’s personality,” Mr Allison said. Mr Allison said the Places to Sea experience was all about discovery and was a great resource for any travel lover or those who are curious about cruising. Family and friends can easily share their results to figure out which cruise destination best fits their group. THE BIGGEST AND NEWEST CRUISE SHIP TO HOME PORT IN AUSTRALIA, BEGINS HER LONG JOURNEY HOME ! The BIGGEST And Newest Cruise Ship To Homeport In Australia, Begins Her Long Journey HOME ! Australia’s newest, biggest and most technologically advanced cruise ship which is being constructed at Meyer Werft shipyard in Papenburg, Germany, has completed its conveyance. The conveyance is a unique process for ships built at Meyer Werft as the shipyard is situated inland along the banks of the River Ems and the ship must make the trip from Papenburg down the river backwards to get to the North Sea. The journey took 12 hours. At 346 meters long and 41 meters wide, this 167,800 gross ton ship is one of the largest ever to go through conveyance. 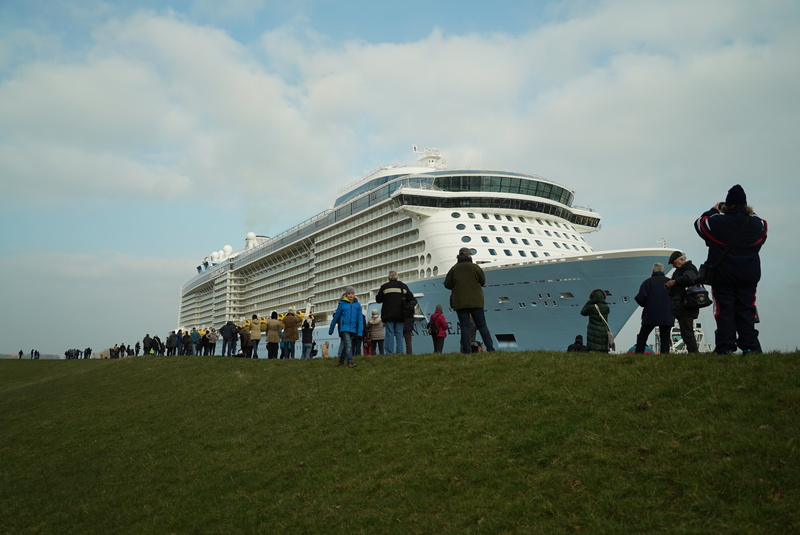 Thousands of revellers from the surrounding local villages lined the 26 mile route along the river bank to watch and celebrate the ship’s journey. 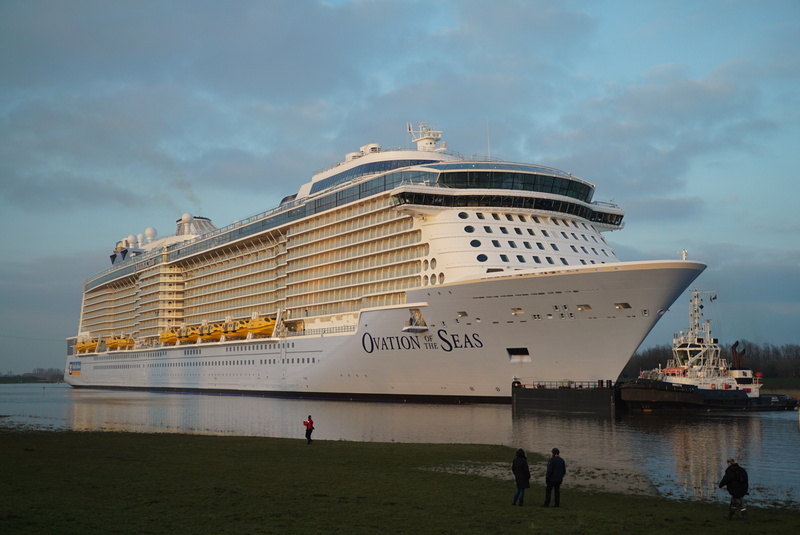 Ovation of the Seas will be officially launched in April 2016, when she departs Southampton, England for Tianjin (Beijing), China on a 52-day Global Odyssey, before commencing her Chinese season on 24 June 2016. On 30 November 2016, she will set sail on a 15-night Singapore to Sydney voyage via Fremantle, Adelaide and Hobart, repositioning to her new home down under for her maiden Australian season from December. 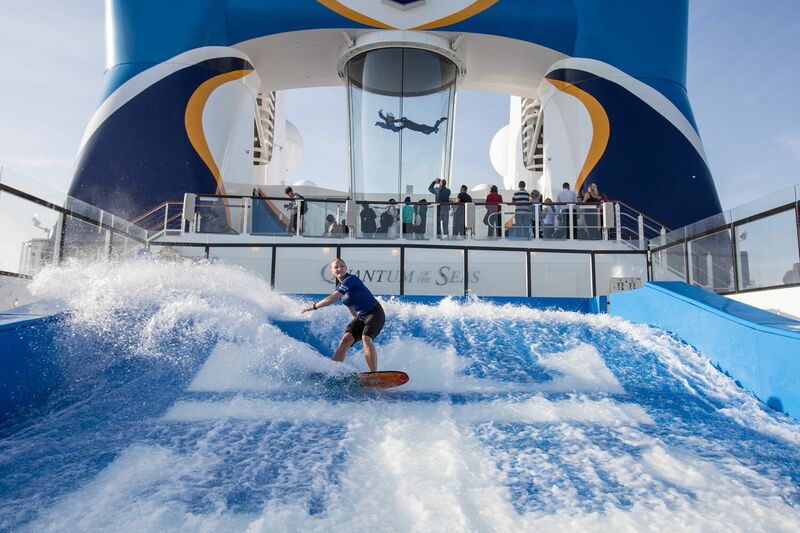 The world’s most revolutionary cruise ship, Ovation of the Seas features a new set of first-at-sea onboard experiences, such as Ripcord by iFLY, a heart-pounding skydiving experience; North Star, a thrilling adventure that transports guests more than 300 feet in the air on a breathtaking journey; cutting-edge transformative venues including SeaPlex, the largest indoor sports and entertainment complex at sea with bumper cars, roller skating and more; the robotic Bionic Bar; and the cruise line’s largest and most advanced staterooms ever. Guests also will enjoy a landscape of 18 restaurant concepts as vast and varied as dining in the world’s most cosmopolitan cities, including Jamie Oliver’s Jamie’s Italian. Technology has also been amped up on Ovation of the Seas with high speed internet offering more bandwidth so guests can connect and stream as quickly as they would onshore, while the Royal iQ app makes keeping track of your onboard schedule simple with all bookings and cruise details stored and updated automatically. Ovation spans 18 decks, encompasses 167,800 gross registered tons, carries 4,180 guests at double occupancy and features 2,090 staterooms. GLADSTONE SETS SIGHTS ON BEING THE NEWEST CRUISING DESTINATION, AS P&O CRUISES' PACIFIC DAWN ARRIVES IN STYLE ! Gladstone Sets Sights On Being The Newest Cruising Destination, As P&O Cruises’ Pacific Dawn Arrives In Style ! * Seeing the sights of Gladstone and the beautiful Southern Great Barrier Reef in style on a 35-minute scenic flight to Heron Island before enjoying a snorkel on the fringing reefs and exploring the tropical island. Information supplied byP&O Cruises Australia. 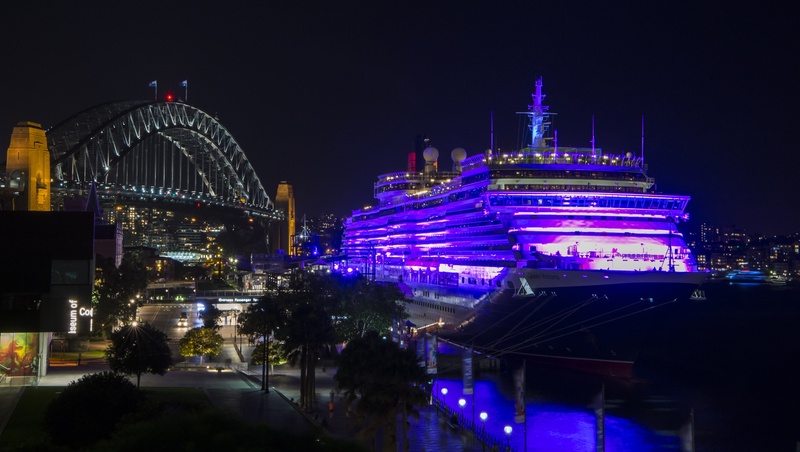 CUNARDS' QUEEN VICTORIA TURNS HEADS IN SYDNEY LAST NIGHT, WITH A STUNNING PURPLE DISPLAY. 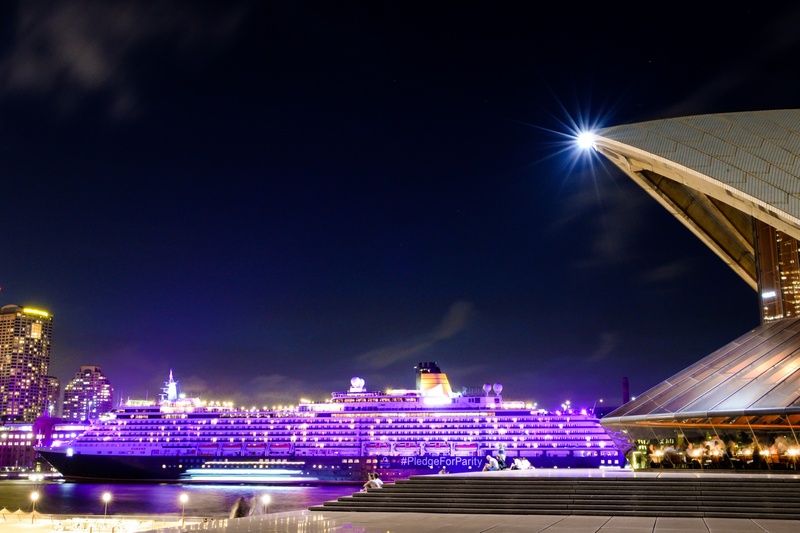 Cunards' Queen Victoria Turns Heads In Sydney Last Night, With A Stunning Purple Display ! Cunards’ Queen Victoria looked stunning and turned heads last night. Berthed at Sydney’s Overseas Passenger Terminal last night for part of the International Women’s Day activity around the globe. Queen Victoria turning purple in a show of support for women’s rights in Sydney last night. Wearing a 60-metre long banner on her hull sporting this year’s campaign message, #PledgeForParity, Queen Victoria took on a purple hue as dusk fell in the city, reflecting the internationally recognised colour for women’s rights and achievement’s. Photo above credit: Brian Gaskin Of Cruise The Seas Travel And Media. Lasting until midnight, the illumination was a striking tribute to International Women’s Day, which celebrates the social, economic, cultural and political achievement of women. A special function was hosted onboard the ship during the evening, bringing together scores of Australia’s leading women from a range of fields. The event was hosted by Ann Sherry, who was named the overall winner in the 2015 Australian Financial Review and Westpac 100 Women of Influence Awards and is the Executive Chairman of Carnival Australia, which accounts for seven of the world’s leading cruise lines in Australia, including Cunard. Queen Victoria’s overnight visit to Sydney comes during her 120-night world voyage, which will see her spend almost three weeks in Australian waters. CUNARDS' QUEEN VICTORIA TO LOOK STUNNING IN PURPLE FOR INTERNATIONAL WOMEN'S DAY ! Cunards’ Queen Victoria To Look Stunning In Purple For International Women’s Day. Cunard has announced that its spectacular Queen Victoria liner will be turning purple to celebrate International Women’s Day during her visit to Sydney Today. In support of the global day, a massive 60-metre long banner sporting this year’s International Women’s Day campaign message – #PledgeForParity – will be hung on the liner’s hull shortly after she berths in Sydney’s Circular Quay this morning. Then as dusk falls, Queen Victoria will take on a new hue, with special lighting bathing the ship in purple – the internationally recognised colour for women’s rights. Visible from around the Quay, the illumination will be a striking tribute to International Women’s Day, which celebrates the social, economic, cultural and political achievement of women. A special function will be hosted on board the ship during the evening, bringing together scores of Australia’s leading women from a range of fields. The event will be hosted by Ann Sherry, who was named the overall winner in the 2015 Australian Financial Review and Westpac 100 Women of Influence Awards and is the Executive Chairman of Carnival Australia, which oversees seven of the world’s leading cruise lines in Australia, including Cunard. Announcing the banner and the illumination, Ms Sherry said International Women’s Day was a powerful reminder that more needed to be done to ensure gender equality in the workplace. “We need to ensure that this day is more than a symbol – we need to use it as an opportunity to revitalise the activism that became the catalyst for International Women's Day itself more than a century ago, so that we can address the challenges that remain,” Ms Sherry said. The #PledgeForParity banner is expected to be in place around 10am today, providing an ideal backdrop for photos as the international day kicks off around the world. The illumination will commence from 7pm and will be in place until midnight during the ship’s overnight stay. Designed to be a classic Cunard liner reflecting Cunard’s rich heritage and traditions, Queen Victoria celebrates the golden age of ocean travel. 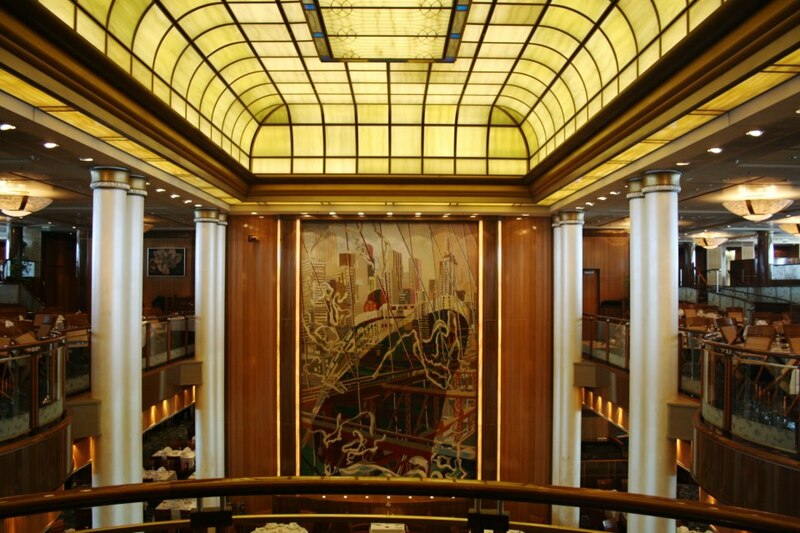 Distinguished by Cunard’s signature red and black livery, the opulent liner features grand triple-height public rooms, sweeping staircases, gleaming crystal chandeliers, spacious open decks for promenading and a colonial-style conservatory complete with a retractable glass roof. Queen Victoria has nine restaurants and cafes, more than 1000 staterooms, West End-style private viewing boxes in her Royal Court Theatre and a two-storey library with 6000 books. Photo's Credit : Brian Gaskin, Cruise The Seas Travel And Media. 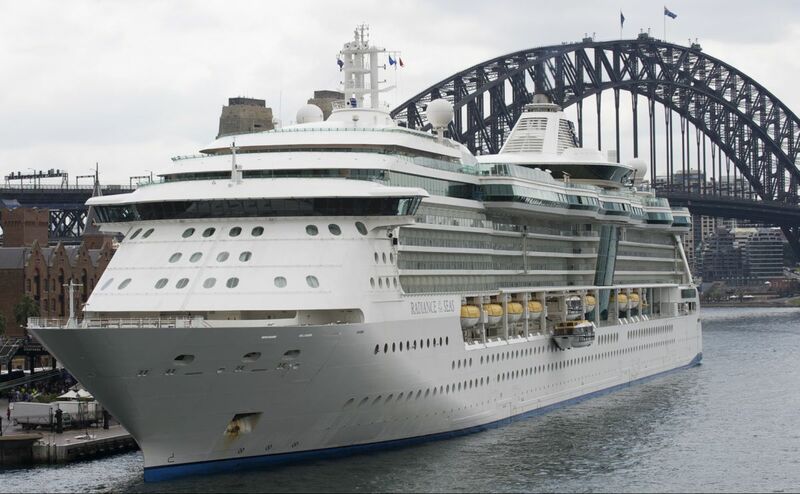 ROYAL CARIBBEAN UPS THE ANTE ON NEW SHORE EXCURSIONS FOR AUSTRALIAN CRUISERS ! From Active Adventures and Culinary Delights to Culture & Sights and Caring Discoveries, Royal Caribbean has unveiled 18 new shore excursions for Australia, New Zealand and South Pacific cruises, many of which are only available on Royal. “We often talk about a Royal Caribbean megaliner being a destination in itself, but the places we sail to truly bring our style of holiday to life,” said Adam Armstrong, regional commercial director, Royal Caribbean. “Whether you’re looking for action and adventure, history and culture, or a taste of the local flavours in this diverse part of the world, Royal Caribbean shore excursions ensure you make the most of your days onshore,” he continued. “Our new and improved offering means there’s something for everyone; whether you’re a seasoned traveller or a first timer, we’ll take you off the beaten track and show you a new side to a range of Australian, New Zealand and South Pacific destinations,” said Adam. Dont just see the world - Explore it ! With Royal Caribbean Shore excursions delivering the destination ! Join an expert skipper for small-group reef and bottom fishing adventure around the Whitsunday Islands. Catering to all levels of experience, guests can test their fishing skills in the sparkling blue waters sheltered by the world-famous Great Barrier Reef, rich with reef fish like coral trout and red emperor. A jet boat captained by a Cairns local takes guests for a wet-and-wild ride on the Cairns waterfront and into the Trinity Inlet. The captain will take the time to let passengers know all about the beautiful location – with lush green mountains, rich wildlife and beautiful waterways only accessible by boat – plus demonstrate some of the tricks and maneuvers the jet boat can do. In the tropics, this ride is a great way to escape the humidity, get ready for lots of spray and water! Experience an exhilarating guided mountain bike ride down the 4,000-foot Mt. Wellington. The tour will take guests to the top of the mountain for panoramic views to the city of Hobart, followed by a gentle, scenic bicycle tour through the magnificent alpine forest and terrain. accommodations. The tour also includes a stop at Redbank Bridge, which passes over some of the world’s longest trains, carrying iron ore and solar salt from Port Hedland to the rest of the country. Peel back the layers of history of Port Hedland with this tour that takes in the historic West End, where large-scale street art meets a colorful market teeming with arts, craft and foot, as well as Koombana Lookout, where the huge bulk carriers move in and out of the harbour as they have for more than a century. Then take a look at the mining equipment and rolling stock used in years past, and see how much the industry has changed at the Don Rhodes Open-Air Mining Museum. 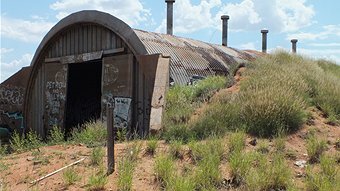 Plus, trace the pioneering heritage of Port Hedland on an exclusive tour of the Dalgety House Museum with members of the local historical society. Built in 1903, the house is one of the few examples left of early 20th-century architecture. Explore Port Hedland’s famous Pretty Pool, a coastal area with an incredibly important ecosystem. Guests will learn about how mangroves help support the flatback turtles, who make this beach their home each year. These turtles rely on the protection the mangroves give to the nests they’ve dug in the sand. Afterward, head to local restaurant, Pretty Pool Provedore for tea, coffee and an array of scrumptious treats. Immerse yourself in Fiji's pristine rainforest at Kila Eco Adventure Park. The tour departs the Port of Suva, the capital’s large maritime gateway. Suva, which is situated on a hilly peninsula, is the most cosmopolitan city in the South Pacific. Your tour leaves the bustling urban center and proceeds along a scenic route to Kila Eco Adventure Park. You’ll explore the Park’s beautiful scenery on your eco-walk, which includes views of the expansive valley and mountainous terrain. Walk through jungle paths, past flowing waterfalls, and the colorful flora and Fiji’s only linear botanic garden as you roam the virgin lowland tropical rainforest. The walk takes guests past several varieties of flowering trees and plants like coconut, giant baka, mango and palm. Join members of the Ngati Whatua tribe on a guided walk of their lands, exploring the heart of Auckland at Mt. Eden, a dormant volcano. For hundreds of years, Maori of this local tribe have passed down through generations their tribal history and traditions. On this tour, take advantage of their knowledge and wisdom as you make your way to Mt. Eden, once the site of the largest fortified Maori pa (fortress) in New Zealand. Take in the natural and cultural history of the volcano while overlooking spectacular views across of the city below. Learn about Maori culture and heritage, finding out why Auckland was so fiercely contested, how the tribe co-existed with the land, and the impact of colonization on its indigenous people. After your walk, enjoy coffee, tea and delicious scones. Enjoy the serenity of the Puketi Kauri Forest and explore caverns lit by twinkling glowworms. Get up close to the ancient and majestic Kauri trees during an educational guided walking tour of Puketi Kauri’s sub-tropical rainforest, rich in native flora and fauna. Next, be surrounded by luminous glow worms in the natural underground wonderland of the Kawiti Caves, and take in its unique stalactite and stalagmite formations. Get ready for the ultimate dining experience in the stunning colonial coastal town of Tauranga and its scenic surrounding region. This 'foodies tour' introduces you to the unique and delicious bounty of the Bay of Plenty. The rich soils and gentle climate have produced ideal growing conditions for both the Maori and European gardeners. Citrus fruit, avocados, wines and more have been cultivated in this region, which makes for a delicious coastal cuisine tour. You’ll travel to lush farmlands, beaches, and into Tauranga to try a wonderful assortment of foods. Sample specialty breads made from wheat, wholemeal and rye at the Artisan Bakery. Try different types of salami made by natural curing and wood smoking. Experience a wide range of fresh seafood and fish dipped in a crisp batter at the Fish Market. Enjoy the delicious, top quality Manuka honey products. Then, tour a kiwi orchard when you climb aboard the KiwiKart. While here, you’ll learn why the kiwifruit is among the most healthiest fruits in the world, and how this unique fertile land, climate, and geography make it an ideal location for growing the kiwifruit compared to other places in the world. Beer lovers can go on a tasting tour of Wellington’s finest craft brews. An array of breweries in the heart of the city are an integral part of the capital's vibrant cultural scene. This tour visits four different locations so you can sample an amazing assortment of quality of beers. Your guide explains the workings of the breweries and describes different beers produced. Find out how malts, hops and some other New Zealand grown ingredients formulate these traditional, high-quality beverages. You’ll get to learn what innovations are used to derive some of the country’s most delicious beers. Watch as the frothy beverage is poured, savor the aroma, and quench your thirst with a delightful sip or a great big gulp. Discover new flavors as enthusiastic brewers share some of their new recipes. Introduce your taste buds to a spectrum of award-winning, bold, seasonal, and crisp beers. Enjoy the chance to sample limited runs. Fill your flagon or take a bottle home. This summer season has seen an unprecedented four Royal Caribbean ships sailing Australian waters. The upcoming 2016/17 summer season will see almost a quarter of a million Australians sailing on five Royal Caribbean ships locally, including onboard the showstopping Ovation of the Seas – Australia’s very first new-build. Ovation of the Seas will join Explorer of the Seas, Voyager of the Seas and Radiance of the Seas sailing out of Sydney, while Legend of the Seas will return for her second season sailing from Brisbane. For more information about Royal Caribbean International or to book a cruise, visit www.royalcaribbean.com.au, call 1800 754 500 or contact your travel agent. THE PACIFIC PEARL IS LEAVING AUSTRALIA IN 2017, SHE WILL BE GOING TO CRUISE AND MARITIME VOYAGES. The Pacific Pearl Is Leaving Australia in 2017, She Will Going To Cruise & Maritime Voyages. Pacific Pearl is the sixth cruise ship of the P&O Cruises Australia brand. She was built by Chantiers de l'Atlantique, at their shipyard in Saint-Nazaire, France, and launched in 1988 as Sitmar FairMajesty. Originally ordered for Sitmar Cruises, she was sold and first entered service with Princess Cruises as Star Princess in 1989. From 1997 to 2003, she served in the P&O Cruises flee...t as MV Arcadia. She was renamed Ocean Village in 2003 when the brand was established Ocean Village was the sole cruise ship of the Ocean Village brand after the Ocean Village Two became the Pacific Jewel. She was transferred to P&O Cruises Australia and renamed Pacific Pearl. This year, Cruise & Maritime is sailing four ships, the Astor, Azores, Magellan and Marco Polo. The Astor divides her deployment between a German subsidiary brand and Australia. The ship will go through a dry dock with some refurbishment and re-livery works in Singapore in April and early May 2017 before positioning to the UK, being renamed and starting its inaugural CMV ex-UK 2017 cruise season. He added: 'The strategic development of the group’s presence in the UK and wider international markets will increase our overall capacity to 125,000 passengers in 2017. • Conversion of the HQ Teen Center into the maritime-themed Columbus Lounge & Library. • Conversion of the Shark Shack & Turtle Cove Children’s Center into Trumps & Aces -- a dedicated Bridge & Card Room area and also a separate Studio. Homeporting year round from Tilbury, Columbus will be dedicated to the British cruise market and will target adult-only cruisers (16yrs plus), with the exception of two all-age departures in August 2017. Information supplied by: Cruise Marintime Voyages. P&O CRUISES AUSTRALIA PACIFIC PEARL SET TO CRUISE INTO THE SUNSET. P&O Cruises Australia Pacific Peal Set To Cruise Into The Sunset. 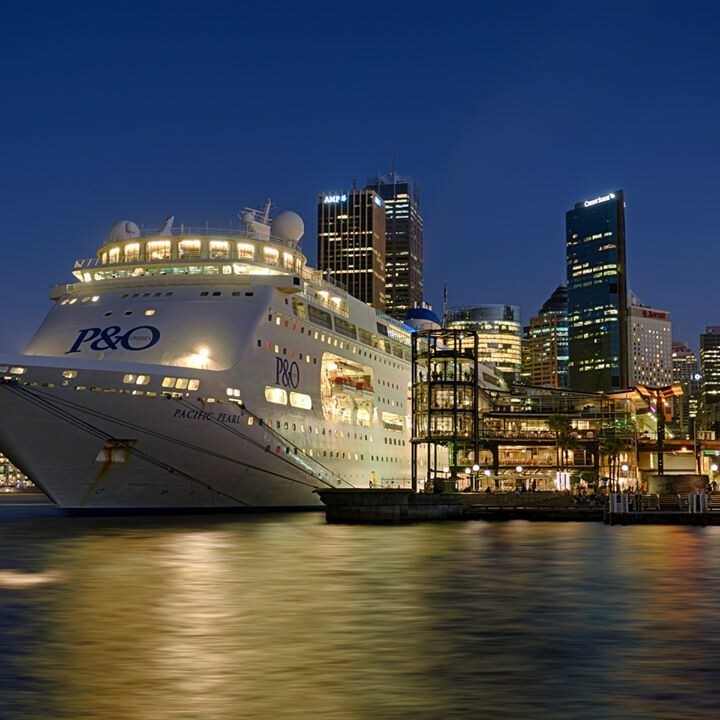 P&O Cruises Australia today announced a commercial arrangement has been reached to transfer Pacific Pearl from its fleet as part of an ongoing fleet expansion and renewal program. The popular ship will be farewelled from the fleet in April 2017. By then, Pacific Pearl will have completed 294 separate cruises under the P&O Cruises’ banner and will have carried more than half a million passengers over a period of more than five years’ service. 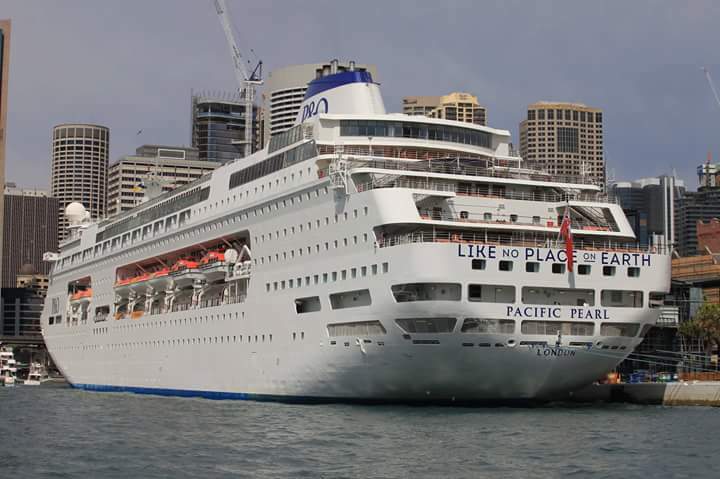 P&O Cruises Australia President Sture Myrmell said Pacific Pearl had become a firm favourite with many guests in Australia and New Zealand during the 63,786-tonne superliner’s time with the fleet. 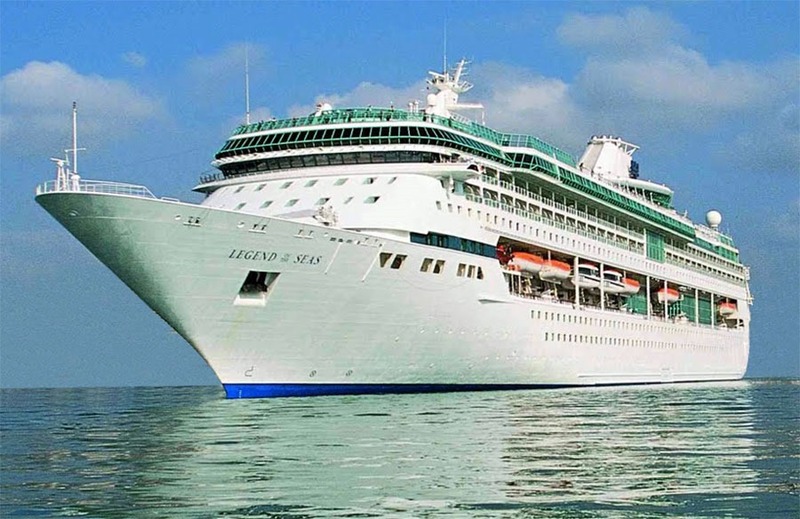 However, the commercial transfer of the 1800-passenger ship is part of an unprecedented fleet renewal program for P&O Cruises, with the addition of Pacific Aria and Pacific Eden at the end of last year and Pacific Explorer due to join the fleet next year. At the same time, P&O Cruises is making history in becoming the first cruise line to build a new ship specifically for the Australian market with the ‘newbuild’ to be delivered in 2019. 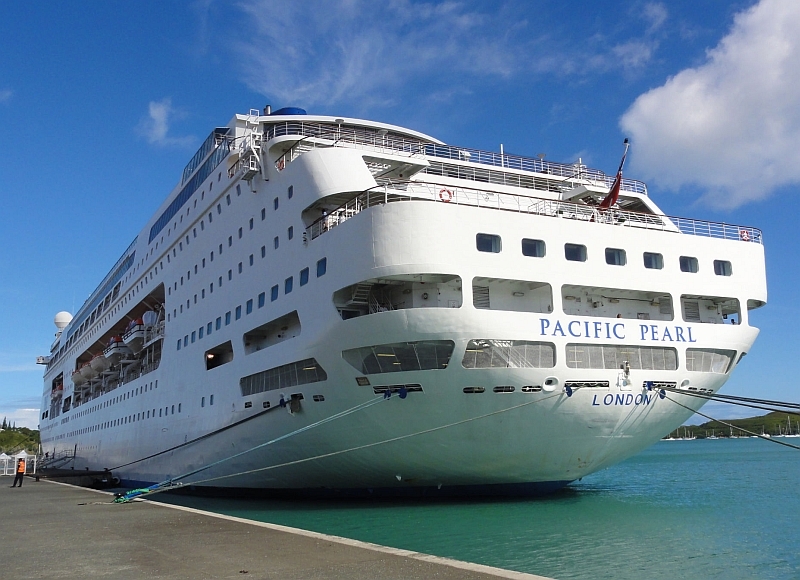 After her P&O Cruises launch in December 2010, Pacific Pearl played a game-changing part in becoming New Zealand’s first superliner, beginning with an eight-night cruise from Auckland to the South Pacific. 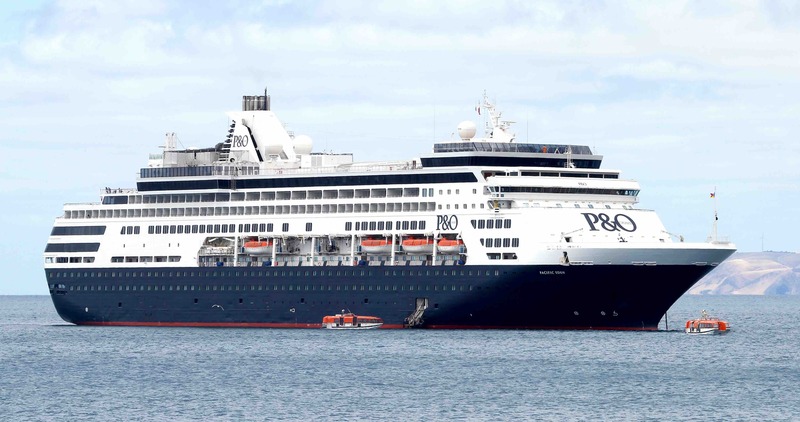 “In becoming a much loved passenger favourite, Pacific Pearl made a huge contribution to building the cruise category in the region particularly in New Zealand, introducing thousands of holidaymakers to the joys of cruising,” Mr Myrmell said. “In addition to contributing to the growth of cruising in Australia, Pacific Pearl played a big part in growing the New Zealand season by more than 20 per cent over the past four years. This year, P&O Cruises is sailing from Auckland for a record 140 days. 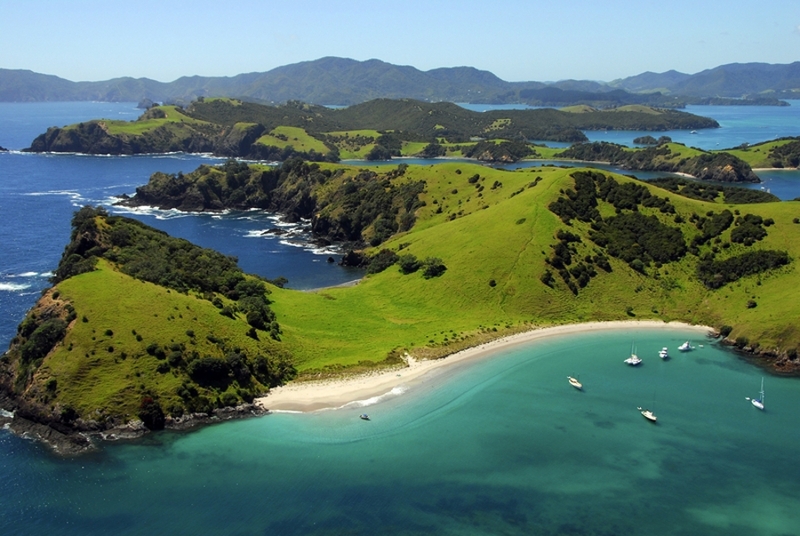 Pacific Pearl’s last New Zealand cruise – a four night cruise to the Bay of Islands – will depart Auckland on March 23, 2017. Her final P&O Cruises voyage will be a 16-day cruise to Singapore departing Auckland on March 27, 2017, which will provide an opportunity for Pacific Pearl's many fans to give her a celebratory farewell from the fleet. * Providing a full refund to guests for whom no alternative cruise choice is suitable (any guest whose cruise is cancelled can choose to obtain a full refund). Pacific Pearl will be transferred to a new fleet in April 2017. At their request, details of the new operators will remain confidential. RCI CELEBRATES BIGGEST EVER MONTH, SINCE BEGINING OPERATIONS IN AUSTRALIA BY SMASHING RECORD SALES IN JANUARY 2016. RCI Celebrates BIGGEST Ever Month, Since Begining Operations In Australia, By Smashing Record Sales In January 2016. Bookings for Royal Caribbean, Celebrity Cruises and Azamara Club Cruises smash records in January. 2016 is off to a fantastic start for RCL Cruises Australia and New Zealand with a record-breaking first month of the year. January 2016 has seen the biggest month for sales since the company opened its local offices, eight years ago. Bookings for its three brands – Royal Caribbean International, Celebrity Cruises and Azamara Club Cruises – reached an all-time high, with an increase of 50 per cent in new bookings compared to the same period last year. January 2016 also outperformed RCL’s previous record breaking month for bookings – June last year, when Australasia’s first ever new-build and the biggest ship to ever be based in Australia, Ovation of the Seas, went on sale – by 30 percent. In particular, the last week in January saw Royal Caribbean International bookings almost double year-on-year. “We said it would be a record-breaking summer and we’re excited to see booking volumes beat our own projections. Australia’s appetite for cruising with us continues on a very positive trajectory, driven by strong early booking offers and the biggest and best ships in the region,” said Adam Armstrong, regional commercial director for Asia/Pacific. 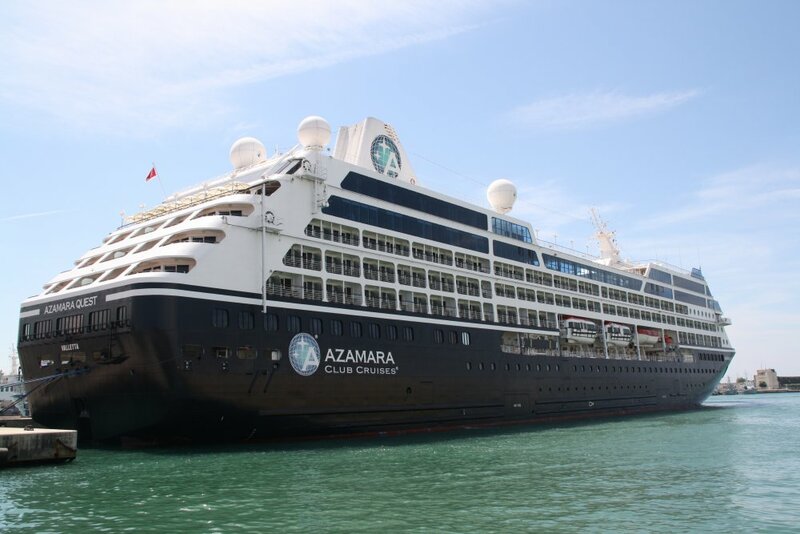 “In response to the increasing demand, this season we introduced three new ships – Explorer of the Seas, Legend of the Seas and Azamara Quest – as well as a brand new cruise line in Azamara Club Cruises; so for the first time, we have our trifecta of three brands sailing down under. All up, that represents 20% of RCL’s worldwide fleet – a very significant number and a testament to the strength of the Australian cruising market,” Adam continued. Bookings on international sailings have shown substantial increases year on year; Alaska cruise bookings grew by more than 25% and Asia sailings increased by 10% when compared to the same month last year. But the most significant increase is reflected in local sailings – in Australia, New Zealand and the South Pacific – where bookings increased by more than 65% in January 2016 compared to January 2015, demonstrating the success of delivering Australians with the very best product on their doorstep. Royal Caribbean’s newest and biggest megaliner, Explorer of the Seas – fresh from her US$80 million revitalization that saw her equipped with a FlowRider surf simulator – jumped to the top of the bookings table in the final week of January to became RCL’s most popular ship, taking pole position from twin sister Voyager of the Seas. Plus, positioning the two Voyager Class sisters as the South Pacific specialists next season (2016/17) is proving a hit with passengers. Together the two megaliners recorded a third of all bookings created in January – and individually both achieved the highest share of bookings for all locally based ships. 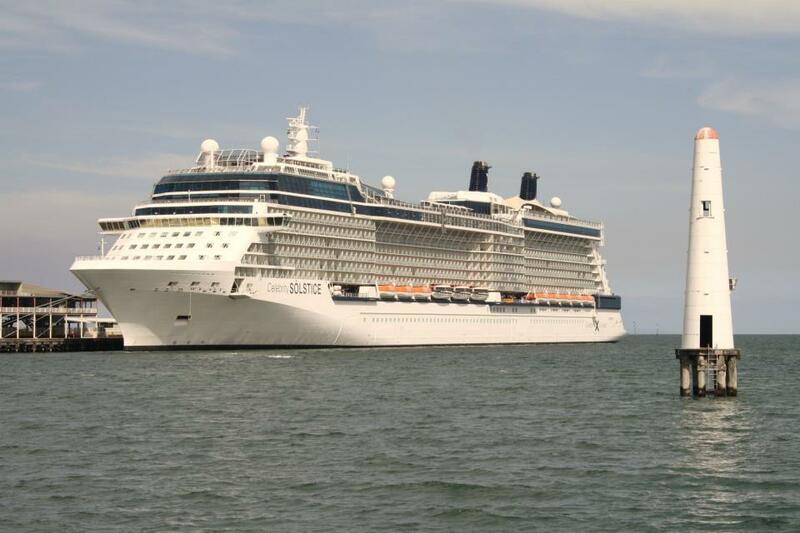 Celebrity Solstice has almost two full months remaining in her current Australian season yet she is sold out, such is the popularity for her modern style of luxury. 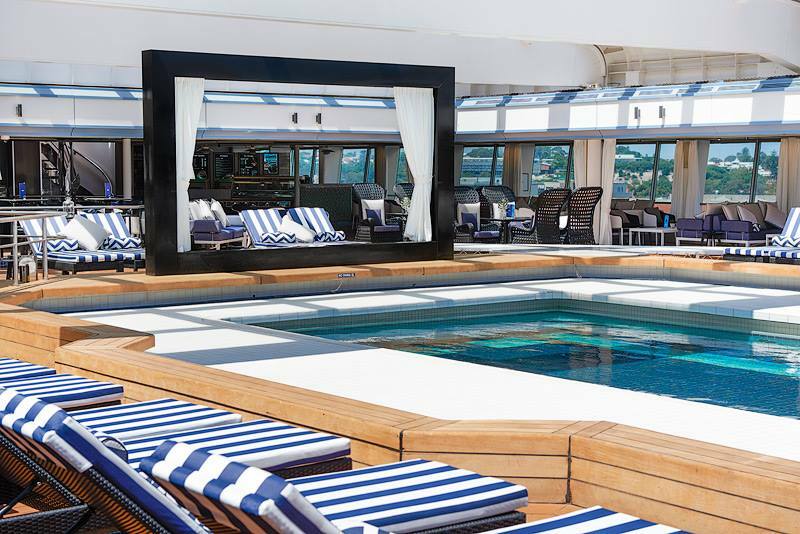 For the best chance to sample Australia’s highest rated cruise ship – and the only Lawn Club at sea in our waters – Celebrity Solstice returns in October for her fifth summer season down under. This summer season has seen an unprecedented seven ships from RCL brands sailing in the region, with a final ship, Celebrity Millennium, due to call in March. The upcoming 2016/17 summer season will see a quarter of a million Australians sailing on eight RCL ships locally, including onboard the showstopping Ovation of the Seas – Australia’s very first brand new ship. 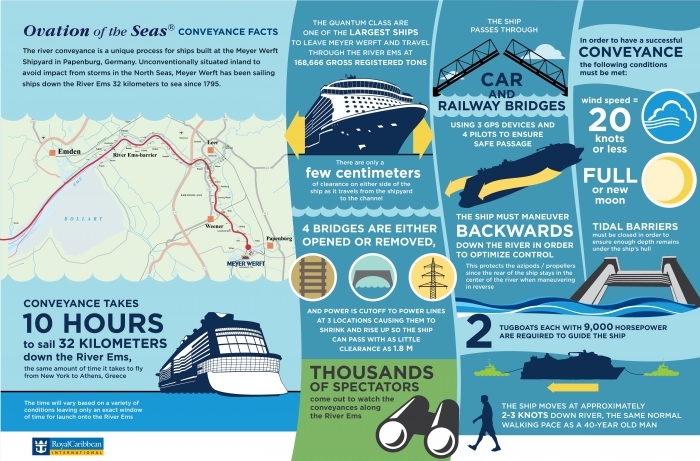 As the newest, biggest and most technologically advanced cruise ship ever be deployed to the region, Ovation of the Seas will offer onboard features like no other ship in Australia, including the North Star viewing capsule, iFly sky diving experience, Bionic Bar with robot bar tenders, 18 different restaurants including Jamie Oliver’s, FlowRider surf machine and much more. 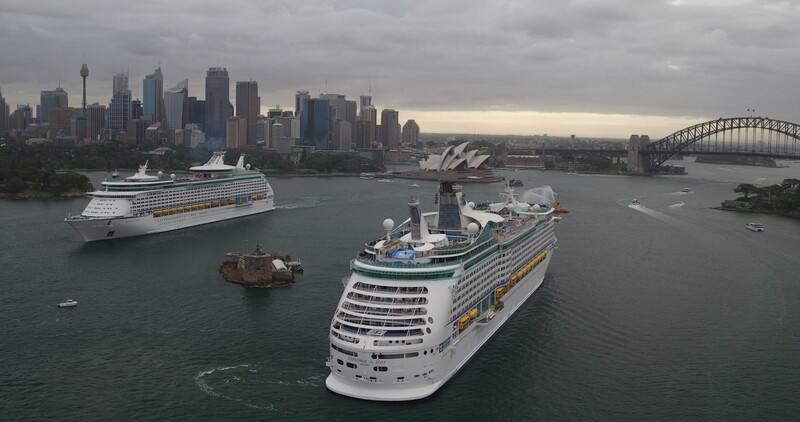 Ovation of the Seas will join Explorer of the Seas, Voyager of the Seas and Radiance of the Seas sailing out of Sydney, while Legend of the Seas will return for her second season sailing from Brisbane. Award winning Celebrity Solstice will also return to Sydney next season offering guests an elegant and more sophisticated choice for local cruising, and Azamara Club Cruises’ second boutique ship, Azamara Journey, will make her Australian debut in February 2017, following an extensive bow-to-stern refurbishment. “It’s not too late to book a cruise or grab a good deal for 2016, we are offering incredible savings and deals available across all three brands, so now is a fantastic time to book your next cruise holiday. Early birds will find 2016/17 cruises are also on offer, so start planning for next summer today,” Adam concluded. For more information or to book a cruise, visit www.royalcaribbean.com.au, www.celebritycruises.com.au or www.azamaraclubcruises.com, call 1800 754 500 or contact your travel agent. Cruise The Seas Travel And Media, Cruising Austrlia The HOME Of Australian Cruising! CRUISING IN AUSTRALIA CONFIRMED AS A DOMINANT FORCE, BUT LACK OF PORT INFRASTRUCTURE MEANS LOST OPPORTUNITIES ! The latest cruise industry economic impact study highlighting a record $3.6 billion contribution to the national economy provided stunning evidence of cruising’s long value chain, Carnival Australia Executive Chairman Ann Sherry said today. Ms Sherry said the independent study commissioned by industry association CLIA Australasia showed cruising was on course to reach two million passengers a year by 2020 – double the industry target Carnival Australia had set – with cruise line spending in Australia already exceeding $1 billion a year. This included a 15 per cent increase in spending for ship supplies, maintenance and repair, 12 per cent more spent on food and beverage with widespread benefit to the agriculture sector and a 17 per cent increase on shore excursions supporting tourism operators and jobs growth. “Carnival Australia cruise brands have contributed significantly to the increase in the number of ships home ported in Australia, which has helped drive the big increase in purchasing from local suppliers especially in the food and beverage area,” Ms Sherry said. Ms Sherry said the study also highlighted the ‘lost opportunity’ cost of fewer international cruise tourists visiting Australia due to port capacity constraints linked to availability of berths and the ability to handle larger capacity cruise ships. In 2014-15, the period covered by the study, this lost opportunity was estimated at $7 million but Ms Sherry said that in the absence of port facility improvements this could become more than $35 million in lost opportunity over the next five years. Pointing to regional performance, the study confirmed that while NSW continued to dominate in cruise-related economic activity, its share had fallen from 73 per cent in 2013 to 67 per cent in 2014-15. “Separate to the study we now know that NSW authorities underestimated the potential growth of cruising and the need for port facility improvement to accommodate its strong growth as outlined in the new study,” Ms Sherry said. CRUISE SHIP ACTIVITY IN AUSTRALIA DRIVES INDUSTRY'S ECONOMIC VALES TO NEW HIGHTS. Cruise Ship Activity In Australia Drives Industry’s Economic Value To New Highs. The value of cruising in Australia is continuing to surge, with a new report showing that swelling cruise passenger numbers and an increase in homeported ships helped to drive the industry’s economic contribution to a record $3.6 billion in 2014-15. Commissioned by Cruise Lines International Association (CLIA) Australasia, the independent report reveals that the economic value of cruising has risen an impressive 11.6 per cent since 2013, when CLIA’s first economic report recorded an industry contribution of $3.2 billion. According to the “Contribution of Cruise Tourism to the Australian Economy in 2014-15” report, the number of calls by homeported ships increased by 8.3 per cent in the 2014-15 financial year, compared to the previous year, helping to boost cruise line expenditure by 11 per cent. Also fuelling growth was a 10.3 per cent rise in passenger capacity on homeported ships and an 8.8 per cent increase in capacity on visiting ships, reflecting the increasing size of cruise ships in local waters. However, in its executive summary of the report CLIA notes that capacity constraints remain a barrier to future growth, particularly in Sydney. During 2014-15, passenger and crew visit days grew by 8.8 per cent across the country. However NSW experienced only 0.4 per cent growth compared to almost 56 per cent in Western Australia, 27.4 per cent in Victoria and 16.4 per cent in Queensland. NSW’s share of the overall economic contribution slipped from 73 per cent in 2013 to 68 per cent in 2014-15. Capacity constraints have also limited the number of visiting international ships, prompting a 10 per cent decline in international passenger visit days in 2014-15, representing a lost opportunity to the Australian economy of close to $7 million according to the summary. Prepared for CLIA by Business Research and Economic Advisers (BREA), the report found overall passenger expenditure grew by 12.5 per cent to $814 million in 2014-15, driven by the increase in passenger days as well as a 3.4 per cent rise in average passenger spend per day to $384. International passengers spent an average of $700 a day in a home port compared to $181 in a transit port, while domestic passengers spent an average $483 a day in a home port and $151 in a transit port. Releasing the report today, CLIA Australasia Managing Director Neil Linwood said it provided a valuable insight into the industry’s growth and future. 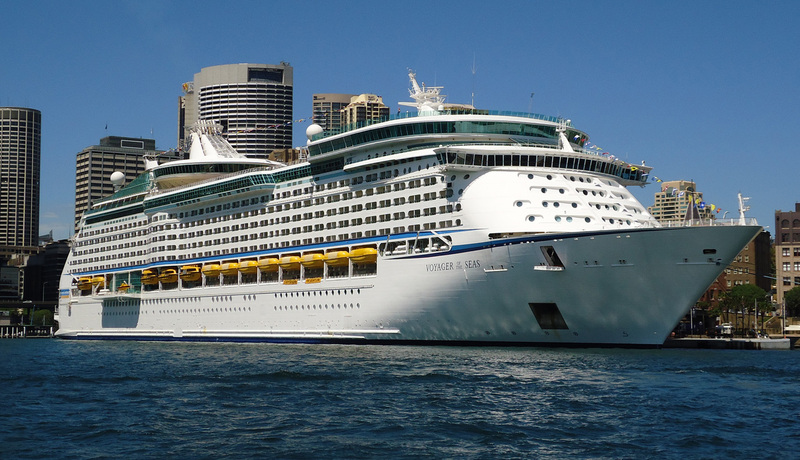 “This report not only captures the impressive growth of the cruise industry, it also records the shifting structure of the industry as capacity constraints start to bite,” Mr Linwood said. * Across Australia, homeported passengers spent an average of just over $505 per visit day while transit passengers spent an average of $160 per visit day. * Cruise visit days declined by 13 from 2013 due to fewer ships with overnight stays in Sydney. * Brisbane accounted for 16 per cent of homeport passenger days across Australia in 2014-15. * In Cairns, domestic transit passengers spent an average of $186 a day in Cairns while international transit passengers spent $345 a day – once again the highest daily spend by international transit passengers nationally. * Victorian ports experienced an increase of 13 cruise ship visit days from 77 in 2013 to 90 in 2014. * Melbourne is the third largest of the cruise home ports in Australia, and is predominantly a transit port with a total of 177,258 passenger visit days, an increase of 21 per cent from 2013. * Melbourne experienced relatively significant growth in its homeport activity with an 80 per cent increase in homeported passengers. This growth is as a result of Melbourne becoming a homeport alternative to capacity-constrained Sydney during the peak cruise season. * Fremantle’s homeport activity increased significantly as cruise lines continue to look for new homeports and destinations. Homeport passenger numbers grew by almost 300 per cent from 2013. * South Australia had 31 cruise visit days and 59,556 total passenger days. * International passengers spent an average of $265 during their transit visits to Darwin while domestic passengers spent an average of $131. Informaion supplied by : Cruise Lines International Association Of Australasia. [ CLIA ]. PRINCESS CRUISES' SET TO SHOWCASE AUSTRALIA'S FINEST WHISKY'S AT SEA ! Princess Cruises’ Set To Showcase Australia's Finest Whisky's At Sea. 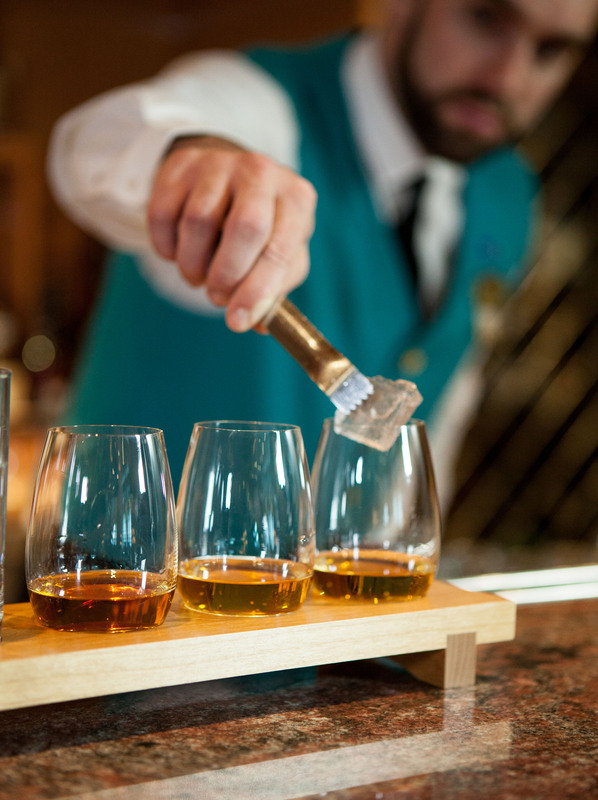 Princess Cruises is continuing its voyage through the world of whisky, extending its onboard experience of the premium spirit in dedicated bars and menus across the fleet and releasing a new video featuring fine Australian whisky. Presented by Princess Cruises ‘whisky ambassador’ Peter Stevens, the new video comes as a chaser to the cruise line’s first online offering which announced the new whisky menu, featuring more than 60 premium whiskies from around the world. 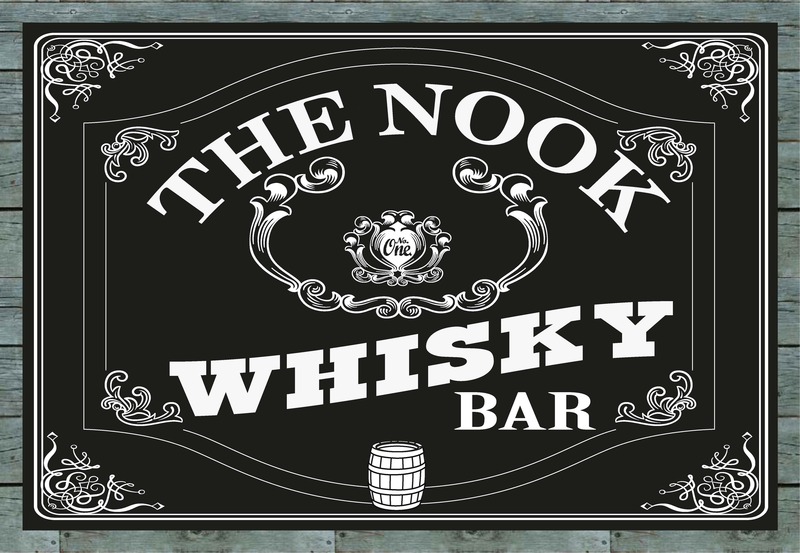 The latest video release follows the debut of a second dedicated whisky bar on an Australian-based ship with ‘The Nook’ now open on Sea Princess. 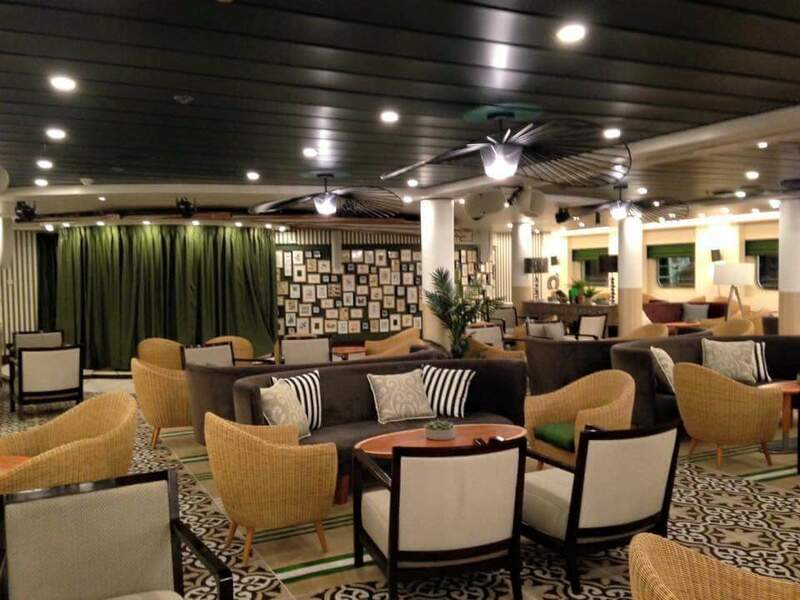 Princess’ first whisky bar opened on Dawn Princess last June, while the full whisky menu is available in bars on Emerald Princess and Golden Princess which also cruise local waters. 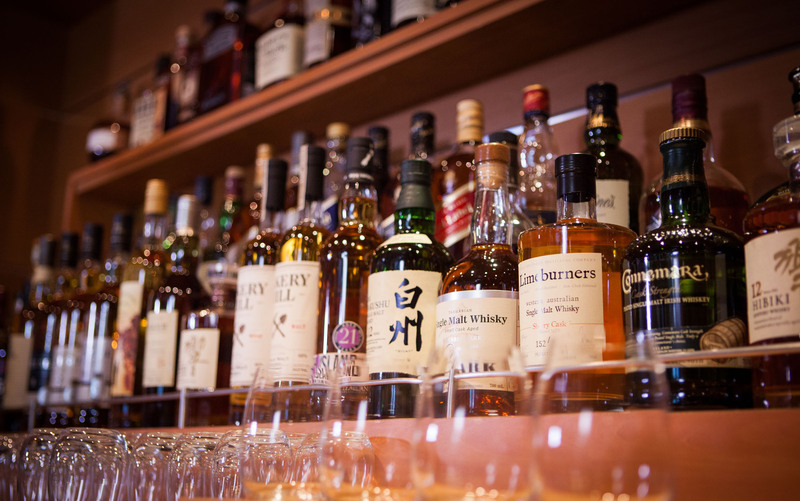 The popularity of Princess Cruises’ whisky menu across its Australian fleet reflects the growing trend for intimate, specialist whisky bars onshore, giving guests the opportunity to taste whiskies from the world’s best producers, and learn more about the premium beverage from knowledgeable bar staff. In the new video, Peter Stevens explains the benefits of the Australian climate in producing world-class whiskies, with environmental elements creating distinct flavours and variations in temperature allowing faster maturation. Three Australian whiskies available on the menu are also profiled in the video; Lark’s Classic Malt from Tasmania, Bakery Hill Single Malt from Victoria and Limeburner’s Single Malt from Albany in Western Australia. 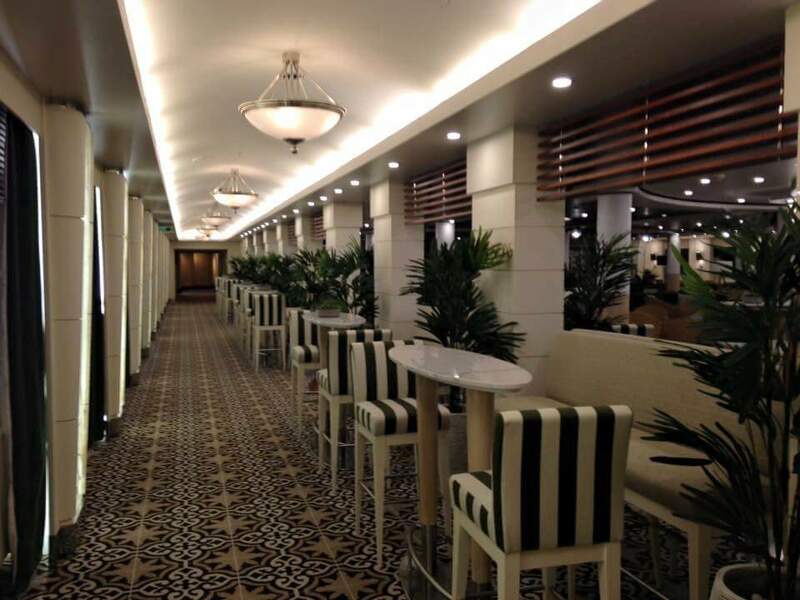 Princess Cruises Vice President Australia & New Zealand Stuart Allison said the cruise line was thrilled to see the popularity of its premium whisky bars and menus with its passengers. “A cruise holiday offers time to relax as well as time to discover new things, so a cruise is the perfect opportunity to relax with a fine dram of whisky from the world’s best distilleries and also to learn a little about whisky along the way,” Mr Allison said. Fares on Sea Princess start from $1,699* per person twin share for a 12-night Treasures of Asia cruise departing Fremantle September 14, 2016. For more information, visit www.princess.com, call 13 24 88 or see a licensed travel agent. *Subject to availability. Terms and conditions apply. Fares are in AUD on a per person, twin share basis. Information supplied by: Prioncess Cruises. 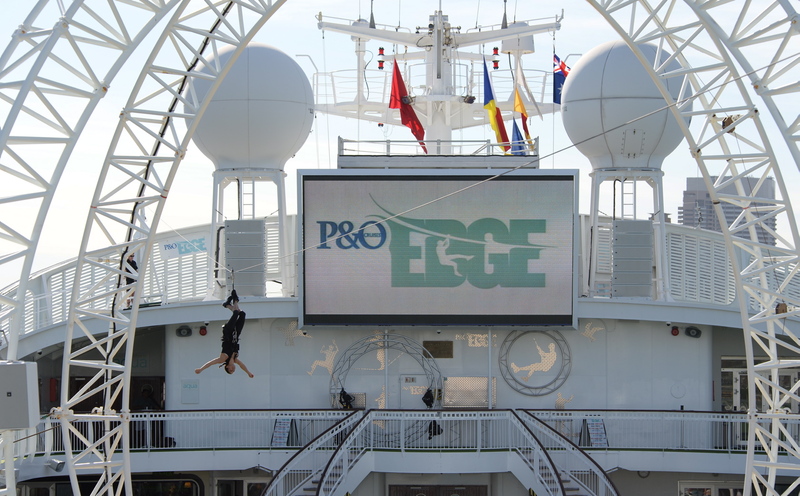 P&O CRUISES AUSTRALIA SERGES AHEAD WITH THE DEMAND FOR CORPORATE EVENTS AT SEA FOLLOWING FLEET EXPANSION. P&O Australia Serges Ahead With The Demand For Corporate Events At Sea Following Fleet Expansion. P&O Cruises has reported a surge in corporate event bookings since the launch of its two latest ships last November, including a marked increase in incentive groups. P&O’s forward bookings for 2016 already exceed the total it achieved in 2015, putting its target of 12,000 delegates for this year well within reach. Following recent announcements that a further two cruise ships will join its fleet in 2017 and 2019, P&O is forecasting more growth next year and beyond. Speaking at the Asia-Pacific Incentives and Meetings Expo (AIME) in Melbourne today, P&O Director of Sales Ryan Taibel said the cruise line had been delighted by the strong response to the launch of its new corporate events offering last February. “Bookings rose solidly throughout 2015 following the launch, and once Pacific Aria and Pacific Eden joined our existing three-ship fleet in November we saw a further surge in interest,” Mr Taibel said. Mr Taibel said while 60 per cent of delegates in 2015 and 2016 had been onboard for meetings, the remaining 40 per cent were part of incentive groups. The cruise line has also seen rising interest in charter bookings. 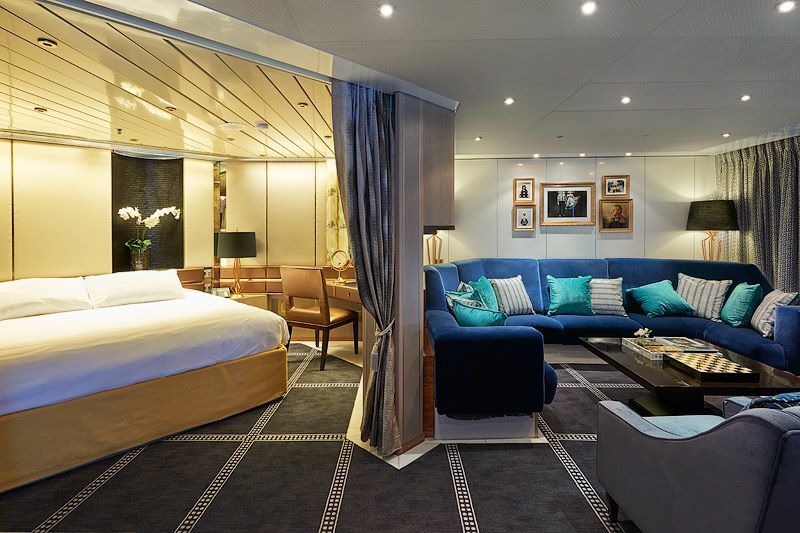 "With their stylish, modern Australian look and feel, our two latest ships, Pacific Aria and Pacific Eden, have clearly caught the eye of incentive planners as well as meeting organisers and made them think about cruising as an enticing reward. “It seems there is a real appetite for an incentive with a difference, so our seven-night cruises from ports such as Singapore and Cairns and our shorter Main Event cruises, incorporating experiences like the Australian Open and the Melbourne Cup, are generating strong interest among incentive planners,” Mr Taibel said. Meanwhile, P&O’s extensive range of itineraries is also attracting organisers. 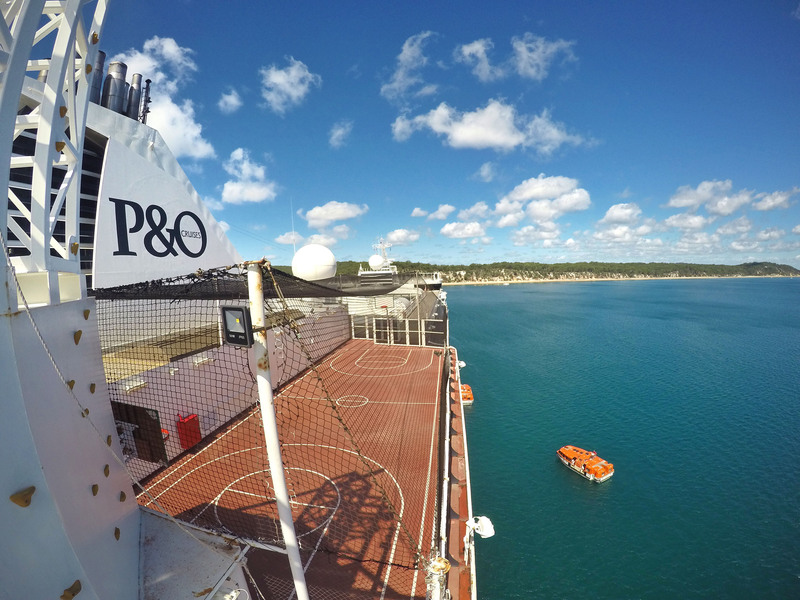 “Thanks to our fleet expansion, P&O now has an unprecedented range of itineraries sailing from ports around the country. So whether you are planning a three-day meeting at sea sailing from Sydney or Fremantle, or a one-week incentive cruise to the exotic islands of Papua New Guinea from Cairns, there are some exciting options available,” Mr Taibel said. Mr Taibel said that while 98 per cent of companies chose itineraries from Sydney and Brisbane in 2015, in 2016, 30 per cent of clients had selected cruise itineraries from P&O's other ports – Melbourne, Adelaide, Fremantle, Cairns, Auckland and Singapore. Mr Taibel said Pacific Aria and Pacific Eden accounted for 70 per cent of delegate bookings in 2016 and 2017. “We are expecting similar enthusiasm for the next two ships to join our fleet - Pacific Explorer, which will debut in May 2017, and P&Os first new build, a 135,500-tonne ship designed exclusively for the Australian market, which will be launched in 2019. “These two ships will be part of the continued evolution of the P&O brand and will offer a range of exciting new features which will no doubt appeal to the corporate events market,” Mr Taibel said. According to Mr Taibel, value remains a key attraction, with an event at sea costing about $325 a day – far less than a comparable event on land. Mr Taibel said bookings had come from a range of industries, with clients including companies from the retail, pharmaceutical, manufacturing and association sectors as well as franchisee and marketing networks. 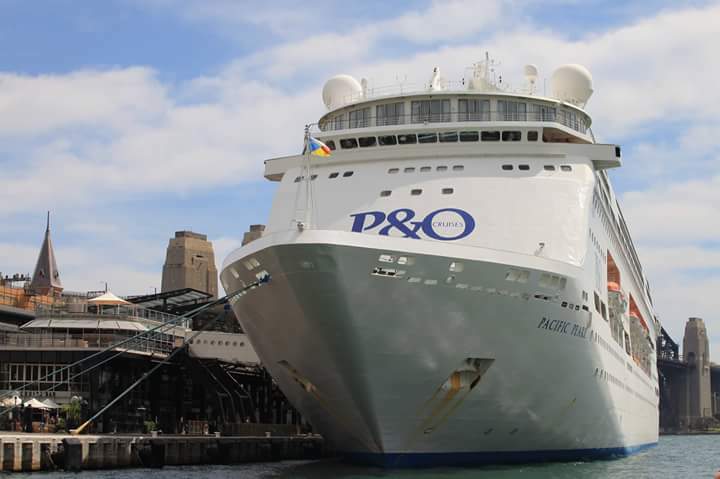 He said P&O intended to build on its corporate meetings activity in 2016 with a series of special showcases in ports around Australia to enable organisers to see the cruise line’s latest ships firsthand.